You already have a relatively successful business website. So why should you add a blog? Especially if it means paying out more money to have someone write it for you? First up, blogging is an incredibly cheap way to increase your brand’s reputation. “Blogging requires roughly 9% of a full-time marketing team’s hours and just 7% of their total budget.” – HubSpot stats. Here are 5 more damn good reasons for why the investment in a business blog makes perfect sense. The age of the Internet means that your clients are now quite adept at finding information for themselves. This means that if they can’t find the information they need on your site, they will go elsewhere. Probably to one of your competitors. 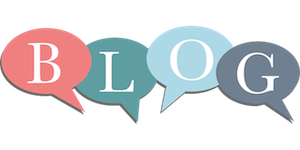 Your blog provides a space to communicate useful information to your clients. Use it to talk about what is happening in your business and why that matters to customers. “B2B marketers using blogs generate 67% more leads than those who do not.” – The Blogconomy. People buy from people. More importantly, people buy from people who inspire confidence through demonstrations of expertise. You can use your blog to comment on industry news, highlight specific product features or to discuss use cases. With well-crafted blog posts, you can begin to establish your business as a thought leader within your industry. Most of your first time visitors will arrive on your site via a search engine. Achieving a high search results ranking is therefore essential to ensuring the future success of your website. One way to attract the attention of Google is to ensure that your site is updated and added to regularly. Your blog is designed specifically for that purpose. So investing in your blog is actually investing in how easily your clients will find your website. “Companies that blog have 55% more website visitors.” – HubSpot research. Harsh economic conditions means that many business have ceased to trade. But often the website for these companies remains functional, if a little dated. So if your website information is stale, how will a website visitor know if you are still in business or not? By posting regularly on your blog, it will be immediately obvious to visitors that your business is alive and well. By engaging in two-way conversation, your business blog provides another channel through which you can establish relationships with buyers. Relationships that should translate to cold, hard cash further down the line. Remember, people buy from people. The truth is that blogs are a non-negotiable aspect of a truly successful website. Tech Write offer business blogging services starting at just £280 per month. Drop me a line for more details.